If you’re looking to get into PC gaming, now is a great time to start. For just over $1000 dollars you can buy a machine that’ll rip through 1440P titles at the highest resolutions, and with graphical quality next generation consoles simply cannot match. Despite a few looming parts on the horizon, including the new Maxwell chips from Nvidia, most of the details such as their release dates are sketchy at best. So what we have here is a simple components guide tailored towards gaming. That’s not to say you’re unable to use this rig for other things – video or audio editing, handling 23,494 spreadsheets at once, this rig will do it all. In last months buyers guide for a $750 dollar gaming rig we’d managed to squeeze in a lot of power, including a GeForce GTX 770. So clearly with this larger budget, we’re able to push even more pixels on screen at once. The standard advice applies – don’t skimp on certain components, particularly the PSU. You don’t want your 1K rig to explode three months down the line. A solid, reliable PSU will keep your rig running safely for years to come. Also, if you’ve a old hard drive, avoid the temptation to reuse it if its a few years old. More than likely it’s slow by today’s standards – there are arguments for reusing the drive in some cases however. Such as a secondary storage drive for archive, particularly if you want to go the SSD route for your main OS. While there is certainly an argument to be made to push the extra to cash into the CPU to grab the I7 4770K, for most gamer’s this isn’t the best use of the cash. 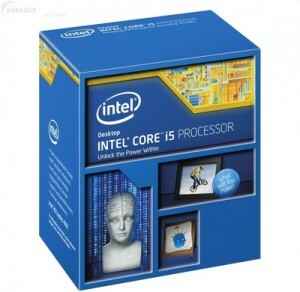 The I5-4670K is an unlocked quad core, obviously meaning it can handle 4 threads total. Using Intel’s latest socket, 1150. It is clocked at 3.40GHz, but due to being a “k” processor is unlocked meaning easily overclocking via the multiplier. Featuring 6MB of level 2 cache. This processor will provide more than sufficient grunt to run games, and the great thing is that it’s easy to overclock to boot. In case you’re wondering regarding overclocking results, while your mileage will vary many I5-4670K’s hit the 4.2 Ghz range. A good, solid and reliable Intel motherboard. It’s cheap enough to not hurt the rest of the component list, but ASRock’s Z97 Pro3 features a decent selection of overclocking options which will be more than sufficient to crank up the clock speed on our CPU. Featuring 6 SATA 3 ports, 6 USB 3.0 ports and all the other trimmings required for a gaming rig. While it’s not the most feature packed, it won’t break the bank either. If we intend to overclock our Haswell, we’ll need to ensure that we have a good cooler to extract the heat from the chip, thus preventing either damage or, the more likely scenario, lower overclocking headroom. The Cooler Master 212 is proven to work, with its fan being quiet enough to not be distracting. We here at RGT use these in our rigs, even during the summer, with overclocking and video encoding is going on we’re yet to have any problems. Sure, you’d be ‘better’ off with water cooling, but for the effort of setup and the cost, it’s difficult to argue with the 212 Evo. Let’s face it, 8GB is about the minimum you’ll want to be running if you’re serious about gaming. Fortunately our motherboard choice easily allows us to stick in another 8GB of DDR3 if required. The Corsair Vengeance Blue RAM is well known in the PC community, and while our budget is tight enough not to allow us fancy RAM, Vengeance does generally have a little extra in the tank, allowing for either tighter than recommended memory timings or slightly raised operating speeds. Typically, I prefer to give a choice of either Radeon or GeForce graphics cards, but in with our budget being what it is there’s no way to justify the suggestion of an Nvidia card. The closest in performance to the R9 290 is a GTX 780, but the extra cost isn’t worth it, as its arguably no faster. So here we’ve got a 4GB GDDR5 graphics card, featuring a rather nice 2560 stream processors, just over 950MHZ core (meaning almost 5TFLOPS of pixel pushing power), and 4 outputs. 1 DisplayPort, 2 DVI and finally a HDMI. Plus there’s AMD Mantle too. The card can be overclocked to near R9-290X performance levels too, which means it’ll own any title at 1080P, and 1440P right now. There’s little reason to look any further. As tempting as reusing an old hard drive from your rig is, if it’s a bit long in the tooth you’d be cheating yourself out of performance. Either retire it completely, or have relegate it to a storage role (for say movies or music). This WD Blue drive has 1TB of space, so of course you’re best to create a couple of partitions for OS, Games and Data. It might be tempting to keep your current hard drive, and if it’s fairly recent then it’s certainly a good decision – but if your hard drive is say 3 years old, there’s a good chance you’ll be missing out on quite a bit of performance. Then again, you could always use your old drive and then buy an SSD in the future – the choice is of course yours. We’re reusing the same brand and model type as our 750 dollar budget, but just bumping it up to the 750 Watt variety. 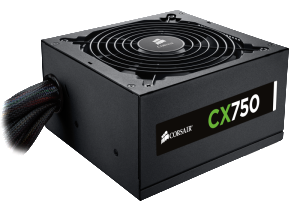 This is a solid PSU, and while it doesn’t make your system ‘go faster’ it will stop it from failing, crashing or exploding. It’s only after you’ve seen a PSU exploding first hand will you appreciate the reliability of a good brand. Don’t skimp on a PSU brand, although none are infallible a good PSU is much less likely to fail, and even less likely to take the rest of the system with it and turn it into a 1K paperweight. For those who feel their drives aren’t reliable enough to reuse, or perhaps you don’t have one, then you might as well go for this. It’s a cheapo drive that will likely see little use aside from possibly installing windows. If you’ve the extra budget or desire you could go ahead and buy a Blu-Ray drive, but for our purposes this is perfect. Most gamer’s will be familiar with Steam and Origin anyway, so it’ll likely not be used for game installs. Unless you’ve specific requirements, then Antec’s One case will more than fit your needs. It’s big enough to to fit the Evo 212, features a couple of USB 3.0 ports and the other usual ‘suspects’ you’d expect of a case of this price range. Best of all, it has tons of spaces for 120mm fans, and it’s a good idea to buy them too. A few additional 120mm fans will improve the cooling of the case. consider installing one at the front to draw in air, one at the top (pulling it out) and at least one at the rear. We’d suggest putting at least three of these fans in – particularly if you’re overclocking. They’re quiet enough to not disturb, and move enough air to make a difference.